Located amidst plush green coffee plantations and paddy fields, Paddington Resort & Spa is heaven for anyone who wants to unplug from the grind of daily routine and relax into the lap of mother nature. With a distance of just 267 kms from Bangalore, it’s the perfect weekend getaway. With fully furnished suites and cottages placed carefully with taste and thoughtfulness, you are sure to find yourself yet again. What can be better than watching Sunrise at the Raja’s seat, rendezvousing with the Elephants at the camps, watching birds at the Chiklihole dam and coming home to that long over due romantic dinner with your better half. Film Screening on Coorg, coffee & wildlife. Flacourtia Resort reserves the right to alter or withdraw this program at any time without notice. Coorg is located in the Western Ghats which are older than even the Himalayas and are recognized by UNESCO as World Heritage Natural Site. 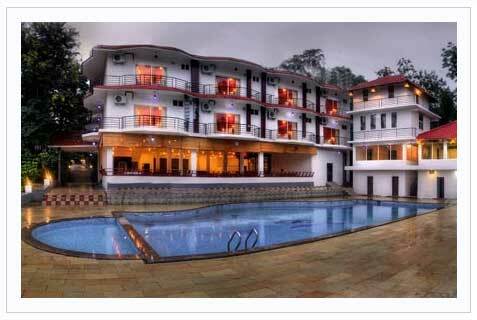 Paddington, your stay for your visit to Coorg, is located on the peripheral of Ane Kedu (elephant’s forest) . Rich with scenic beauty and just 5 kms away from Chiklihole Dam, you can rejuvenate yourself with fresh air and peace all around. Whether you want to take a walk in coffee plantation or watch birds, you dream it, we’ll arrange it! Average Height from sea level: 831 mts.